Pin Pal! 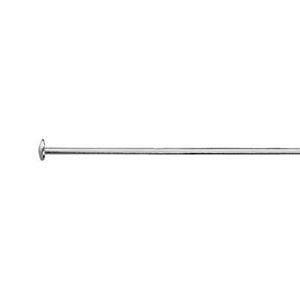 Our SHP31.5 – Bright Sterling Silver – 1.5-Inch Domed Headpin! Your Pin Pal! You’ll enjoy a lifetime relationship of Jewelry Making with these! 26 Gauge – for small-holed beads and pearls. Choose from our many Round Nose Pliers to wire wrap your Headpins!